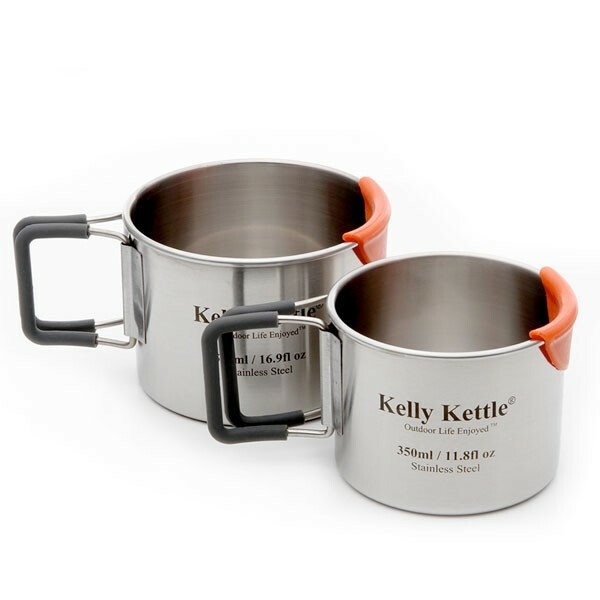 Set of 2 Stainless Steel cups. Includes Coolip Lip Guards and capacity markings inside cups. Large cup holds 17 oz., small cup holds 12 oz. The Kelly Kettle Stainless camp cups are a great addition to your Kelly Kettle and allow you to drink hot or cold drinks in style. 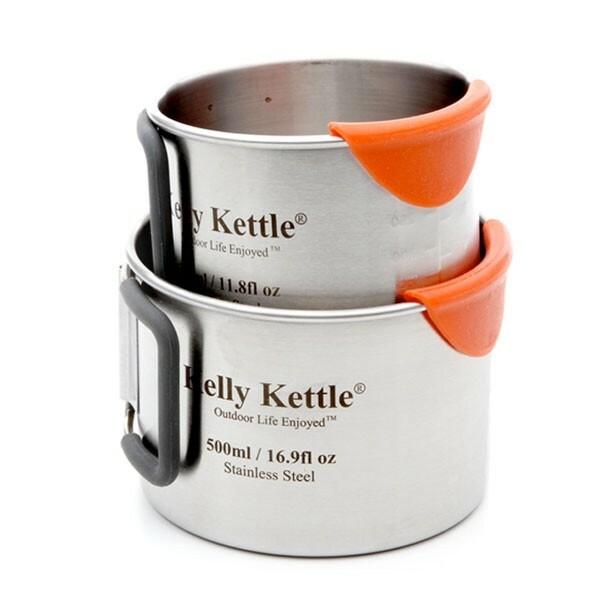 The small cup fits and can be stored inside the large cup and then they can be easily stored in your Kettle firebase when you pack your kettle. Each cup includes our Coolip Lip guards which protect your lips when used with hot liquids.